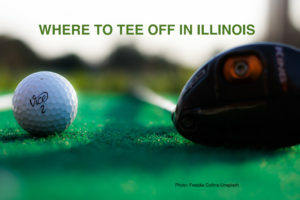 Pack your clubs in the car and head out across Illinois to enjoy some of our state’s top public golf courses. From the outskirts of Chicago to small towns in all areas, you’ll find lots of links to love, and some choice B&B’s to spend the night in too. In fact, two Illinois B&B’s are offering special golf packages (see below). This listing gives just a taste of all the choices in the state. Cog Hill Golf & Country Club, Lamont, IL. Just 30 miles southwest of Chicago, Cog Hill has four different courses for play. Course Number 4, nicknamed Dubsdread, earned the club a place on America’s Top 100 Greatest Public Courses. T.P.C. Deer Run, Silvis, IL. Located along the Rock River on the Iowa boarder, this course is host of the PGA Tour John Deere Classic. Not for the timid—it’s advertised as “A True Test of Shot-Making Skill”—but a wonderful course for golfers who enjoy a good challenge. Crab Orchard Golf Club, Centerville, IL. Once featured in Golf Digest, this pretty southern Illinois course is on the original Ferrell Farm. Expect lush fairways, lovely greens, and enjoyable golf for all skill levels. Thunderhawk Golf Club, Beach Park, IL. Nestled on 228 acres of natural habitat in northeast Illinois, this stunning course was designed by Robert Trent Jones, Jr. and provides plenty of challenges as it winds through meadows, woodlands, and wetlands. Hickory Point Golf Club, Decatur, IL. Expect windy conditions on this central Illinois course that offers flat and wide fairways for more experienced golfers, and a nice six-hole course for beginners. Pine Hills Golf Club, Ottawa, IL. One of Illinois’ oldest, this is also one of the best nine-hole courses in the state. Still family-owned it offers challenging golf and lots of natural beauty. Lakeshore Golf Course lies on the west bank of Lake Taylorville, offering great views along with a rolling terrain, tree-lined fairways, and pristine greens. 4 sets of tees accommodate a range of golfers. There’s also a full pro shop and snack shop serving hot sandwiches and snacks. Market Street Inn is conveniently located in Taylorsville and offers a mid-week golfer’s special in the Illinois Bed & Breakfast Association website: 18 holes of free golf at Lakeshore Golf Course when you stay two nights in one of the B&B’s whirlpool rooms. Creekside Vineyards Inn also has a Golf & Stay Getaway, featuring a complimentary round of golf for two with a one-night stay at the Inn. Both of the inn are members of the Illinois Bed & Breakfast Association…a unique lodging experience. 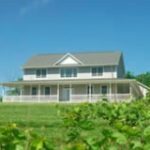 This entry was posted in Golf, Illinois Bed and Breakfasts, Outdoor activities, Touring Illinois and tagged Golfing, Illinois Bed & Breakfasts, Illinois Travel, outdoor activities by admin. Bookmark the permalink.